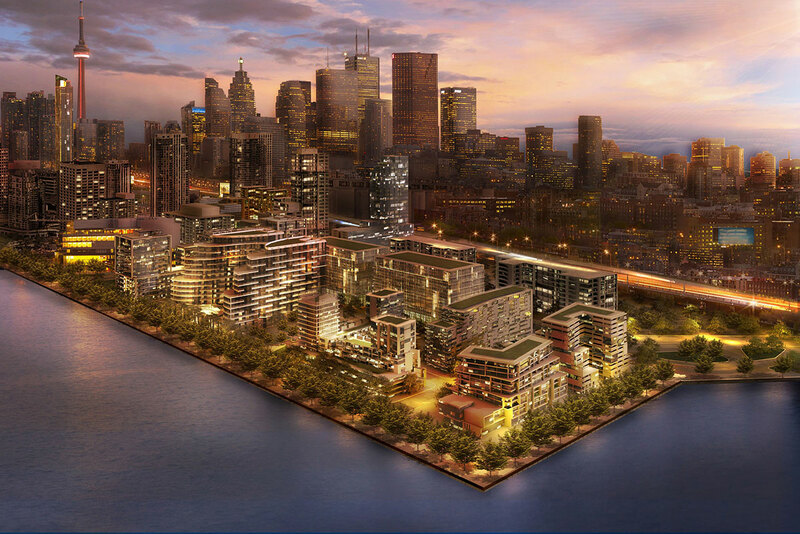 Aqualina at Bayside Toronto™ is the first residential phase of Bayside Toronto, a 13-acre mixed-use development on Toronto's waterfront. 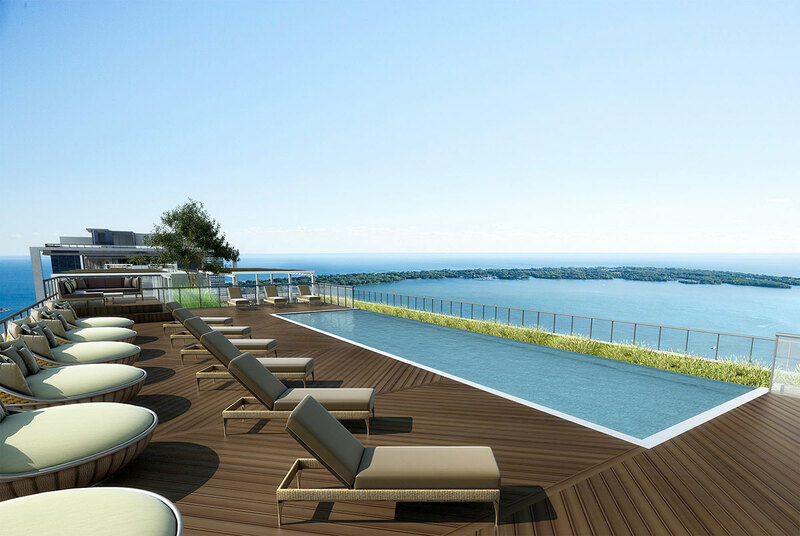 Designed by world-renowned architects, Arquitectonica, the 13-story Aqualina at Bayside Toronto™ contains 362 condominium suites, ranging from one-bedroom to three-bedroom residences designed with families in mind. Suite sizes range from 560 square feet to just over 2,100 square feet. Aqualina at Bayside Toronto™ is defined by a series of distinctive prismatic cubes made of glass and steel, featuring facades accented by angled fenestration and balcony designs intended to maximize views of the Toronto cityscape and Lake Ontario. The condominium’s interior public spaces and amenity areas have been designed by the award-winning Canadian firm II BY IV Design Associates. Landscape design was led by West 8 + DTAH, the award-winning team also responsible for the design of East Bayfront’s public realm including the streetscapes, water’s edge promenade and boardwalk. 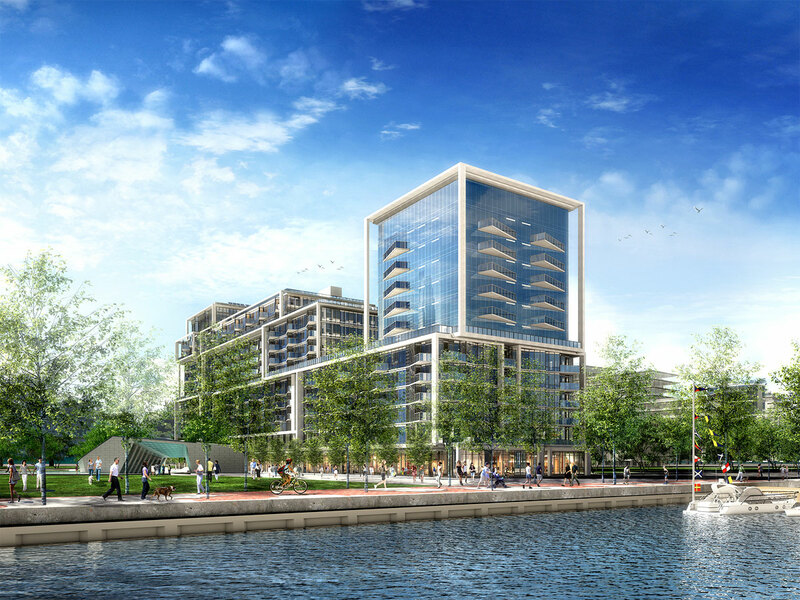 Aqualina at Bayside Toronto™ is part of Toronto’s first LEED-ND Gold neighborhood. Hines sold the project in 2018.